I am very excited to be bringing you my very first Bocandy unboxing! In case you are unfamiliar with Bocandy, they are a monthly candy subscription box that brings you treats from all over the world for you to sample! They currently offer 2 size boxes, half size and full size. 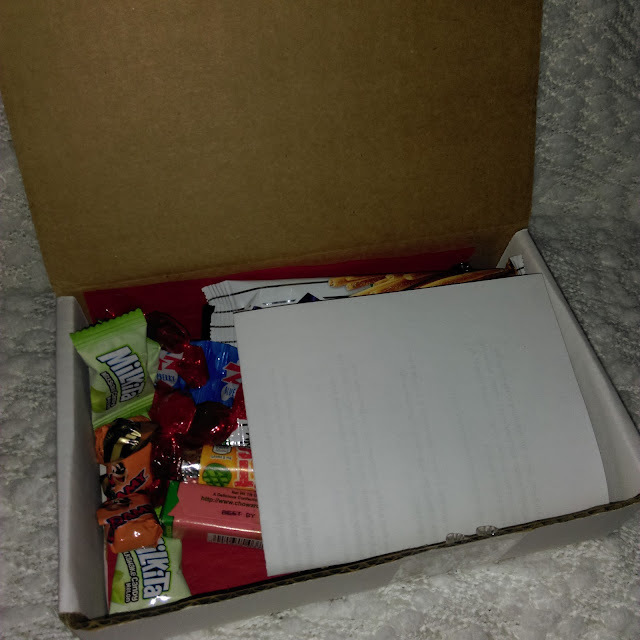 The half size box contains 3-4 candies/snacks each month, and the full size box contains 6-9 candies/snacks each month. For this review, I will be showing you what you can find in the full size box! I am a foodie, I love trying new things, especially from foreign cultures. I also have a sweet tooth, so this box seems like it was made just for me! 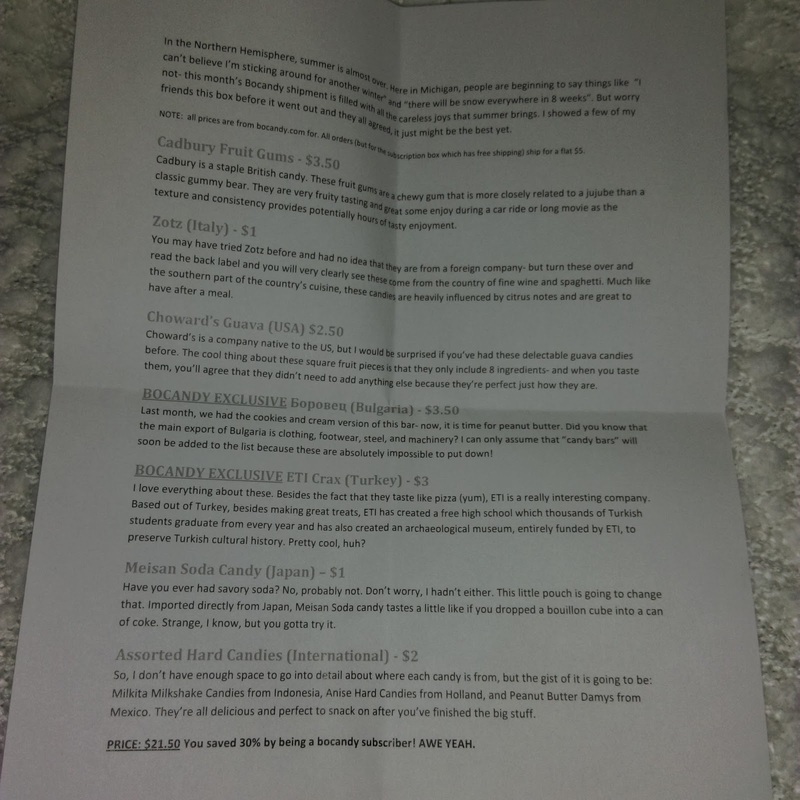 Below I am sharing photos with you that I took while I was opening the box, and going through each item. 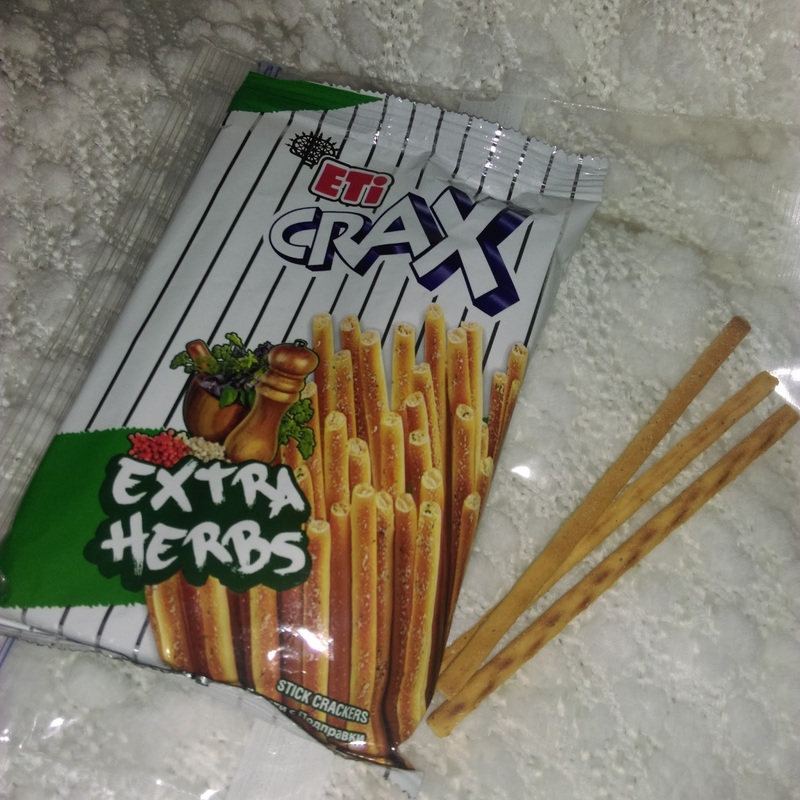 Under neath each photo of the candies/snacks I will give you a description as well as my review of the item. Are you excited? Let's dig in! 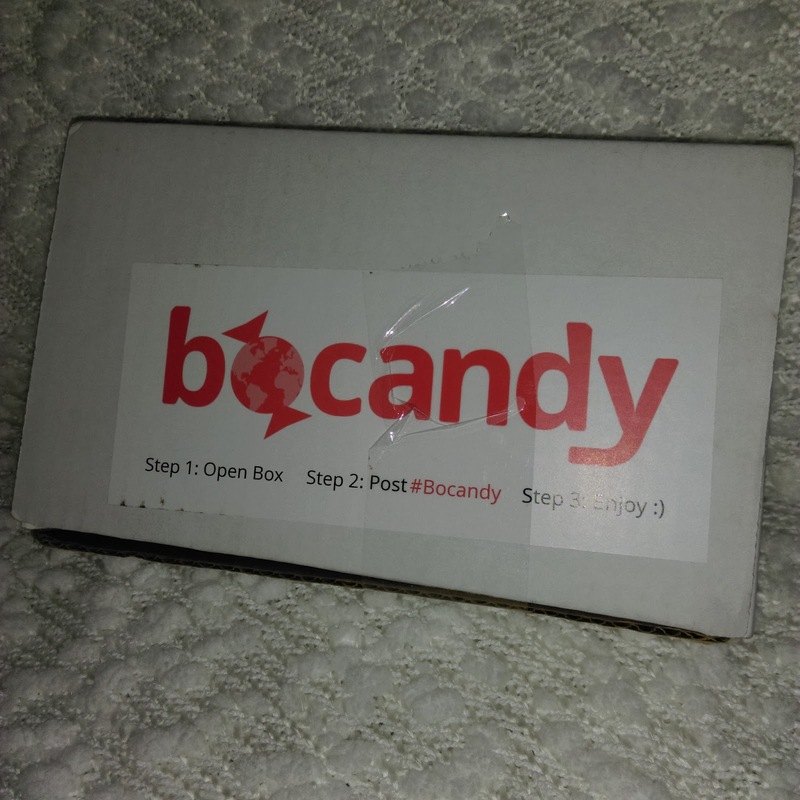 Bocandy Monthly Candy Subscription Box as it arrived! Sneak peek into the August box! 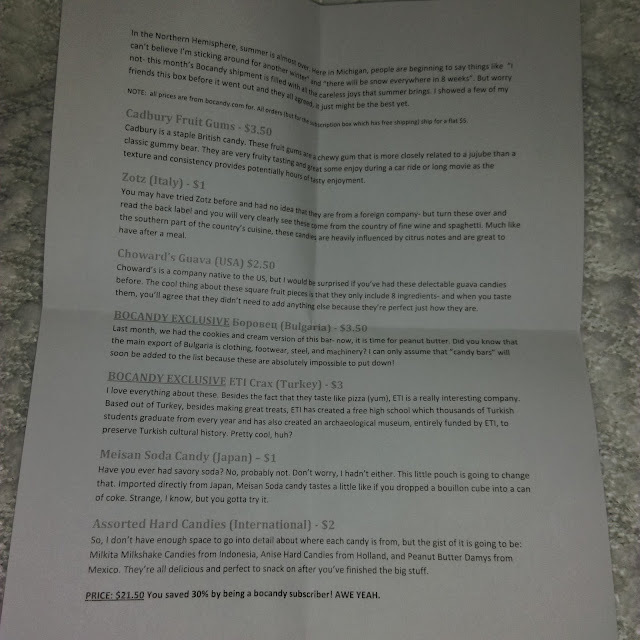 Information paper that gives prices and some details about the goodies inside! All of the goodies inside this months box! Damy Peanut Butter Candies from Mexico. My Thoughts- These are SOO yummy! They sort of remind me of the inside of a Butterfinger, but with a more natural peanut butter taste. I am going to buy a bag of these! My Thoughts- These have a tea and licorice type of flavor to them. I wasn't really a fan of these. I wouldn't buy these. My Thoughts- I like these. 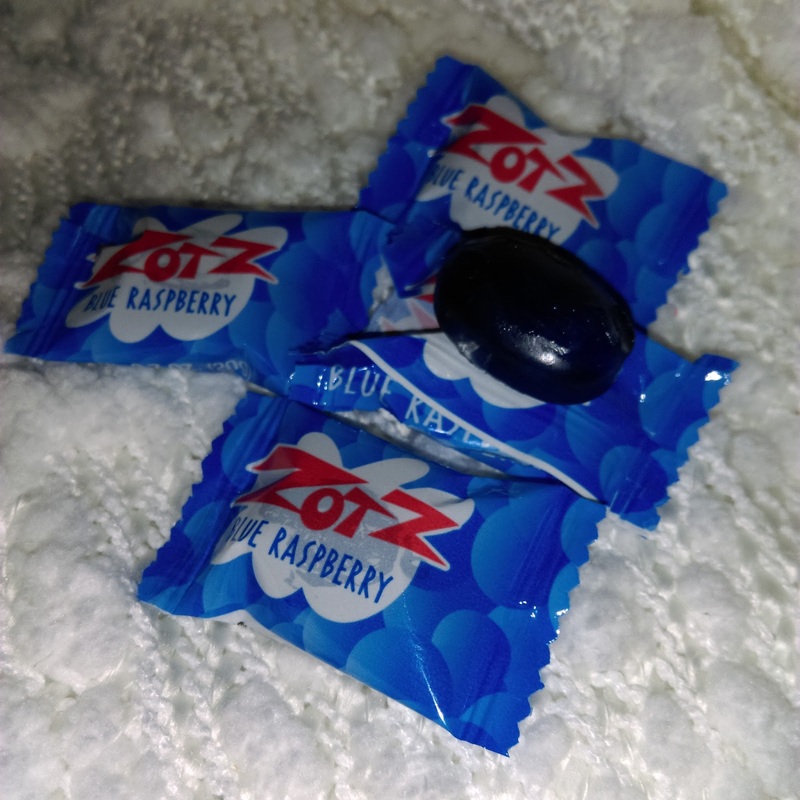 They have a strong blue raspberry flavor, that is a bit sour. Inside the candy fizzes and that creates a fun sensation in your mouth! I would buy these! My Thoughts- I really like these. They have a nice flavor of Italian herbs, some might describe it as a pizza flavor. 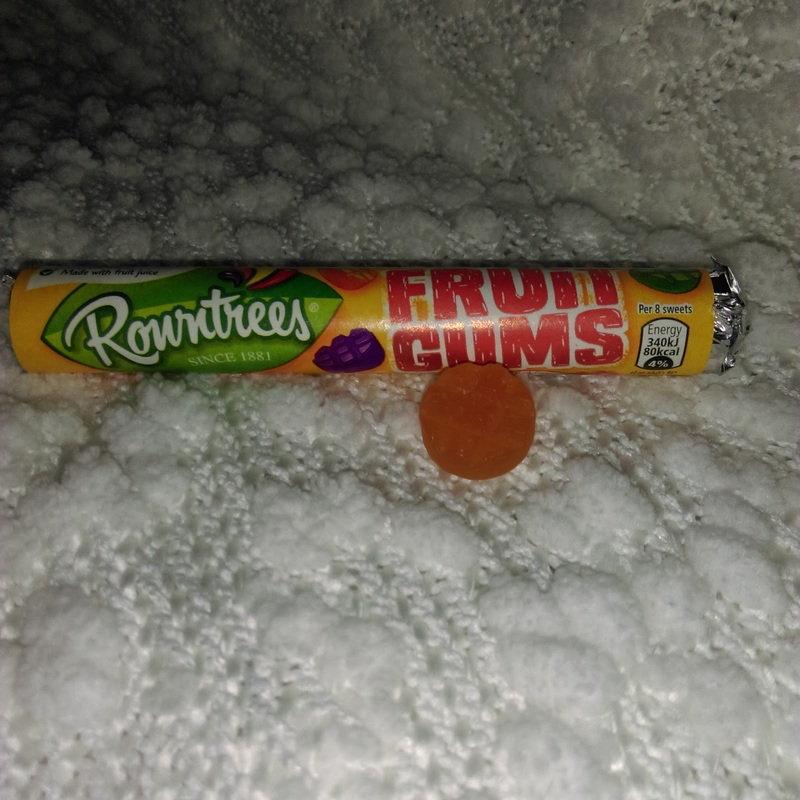 These are so addictive to munch on! I would buy these! 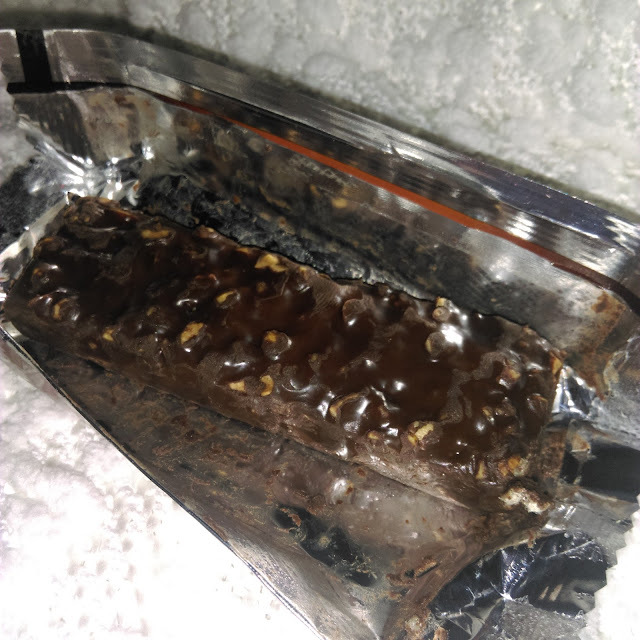 My Thoughts- I really liked this candy bar. 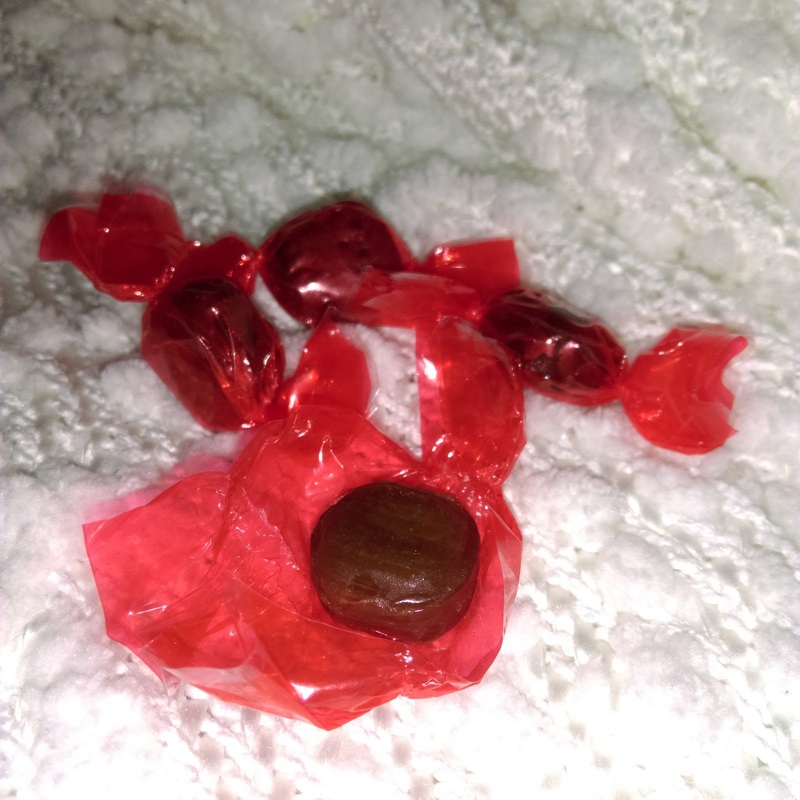 It is covered in a nice chocolate, and inside it has wafers, peanuts, and I'm honestly not sure what else. 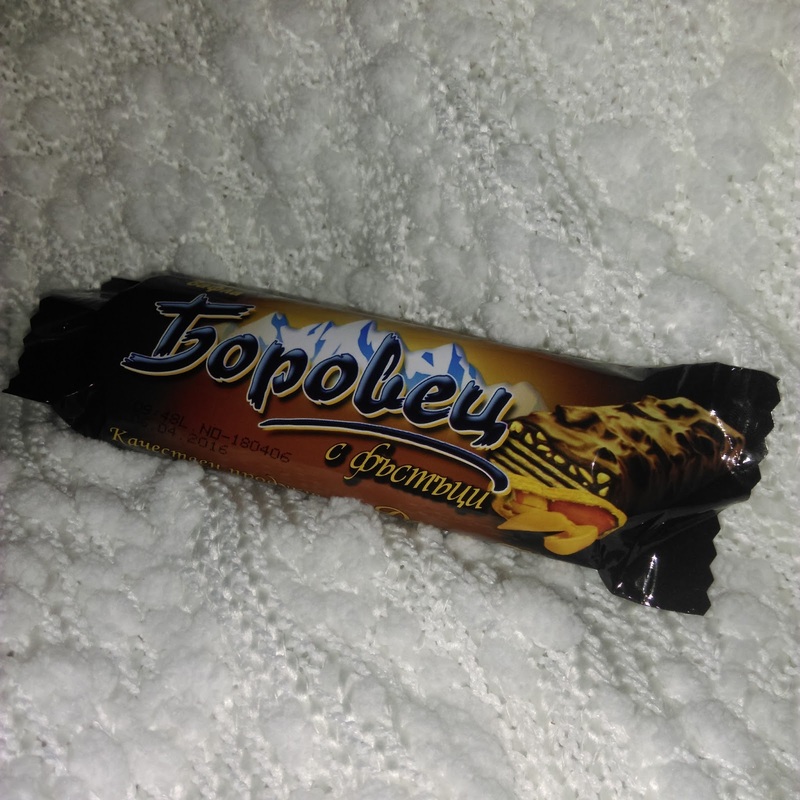 It is a very light candy bar and doesn't leave you with that heavy feeling. 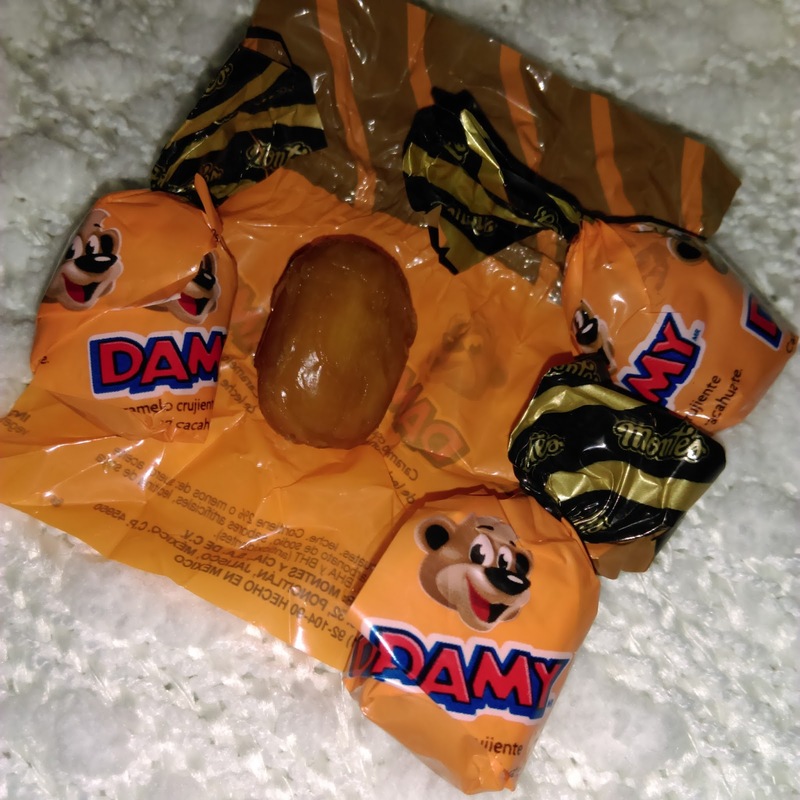 See the photo below for a photo of the candy bar unwrapped! I would buy this! My Thoughts- I have a love / hate relationship with these. A few of the flavors are really yummy, while others not so much. The texture is unlike anything I've had before. They are nothing like gummy bears, nor are they anything like gum. These are something that I would have if given to me, but I probably wouldn't purchase. 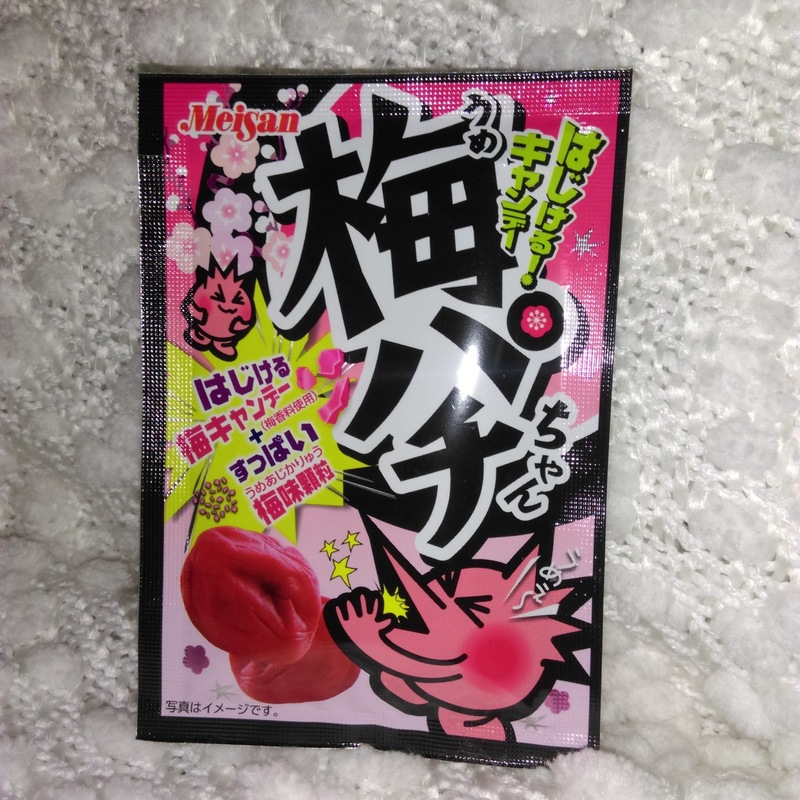 My Thoughts- These are the strangest flavored things I have ever tried. 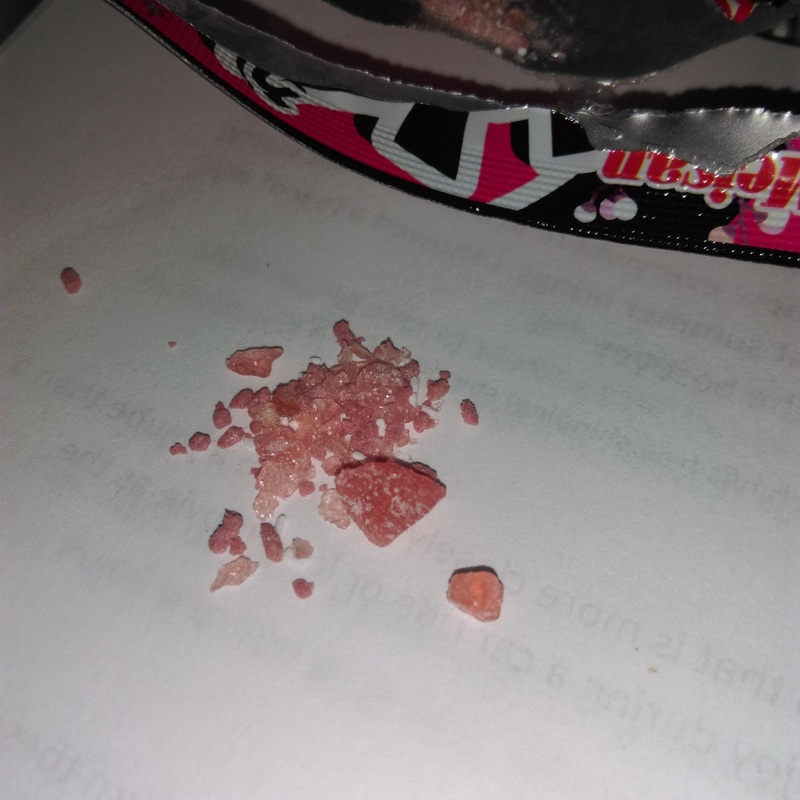 Think of savory flavored pop rocks, and that's what these are. These just weren't for me, the flavor was just too strange for my liking! See photo below to see what they look like! I wouldn't buy these. 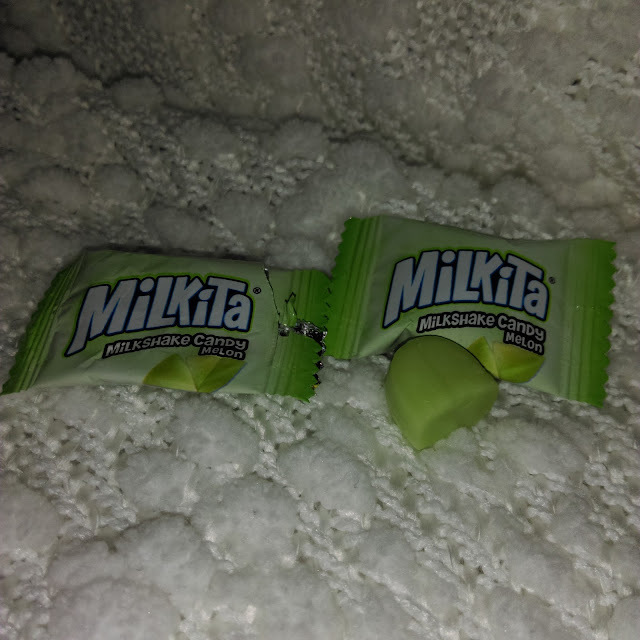 My Thoughts- These have a nice, true melon flavor, with a slight creamy, milky flavor. These are quite nice and refreshing. I like these! 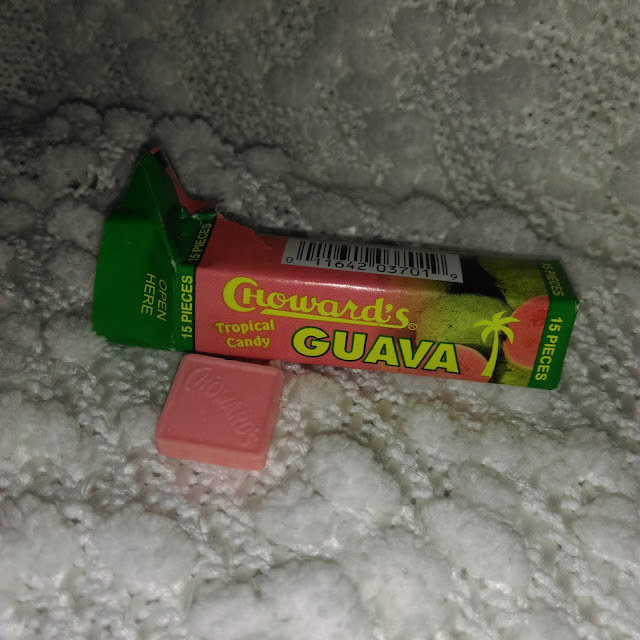 My Thoughts- These have a really strong guava flavor. I don't like guava, so these were a miss for me. But if you like guava, you would probably love these! 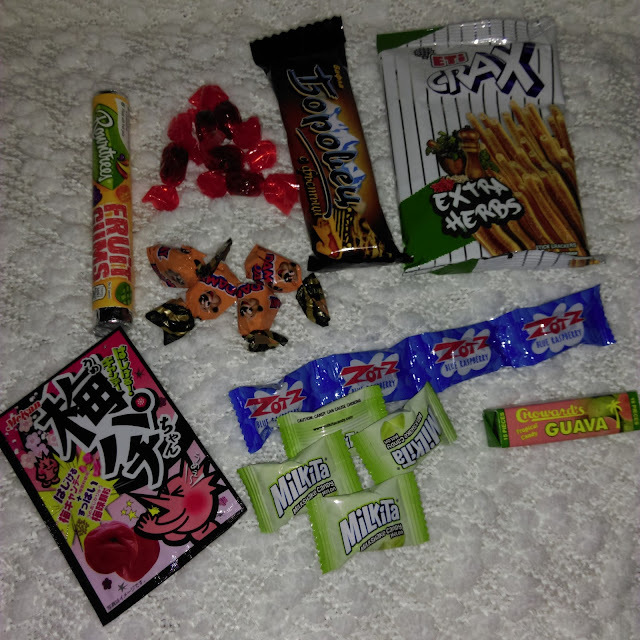 So that is all of the goodies that were in the August 2015 box from Bocandy! I really enjoyed trying all these fun candies and snacks from different cultures and countries! This months box had a value of $21.50! Click here to visit the Bocandy website!